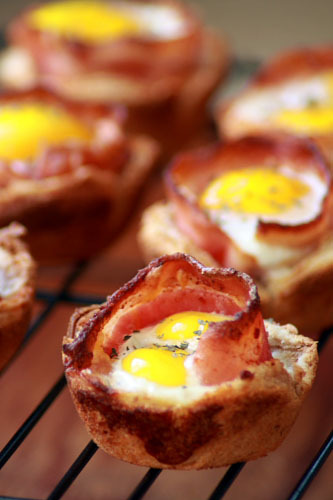 i came across this recipe for a two bite breakfast: bacon & eggs in toast cups and i couldn’t help but share it with you all. sometimes breakfast can be the best meal for dinner. i know none of you will be able to resist these so i’ll post the link below!